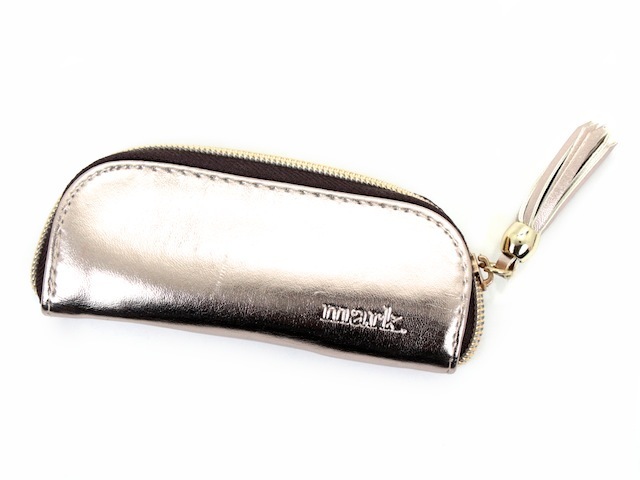 I was pretty excited when I saw this 5-piece mini brush set from Mark cosmetics*. It comes in an adorable case. The metallic faux leather & matching tassel pull is so festive, not to mention the fun bright pink interior. 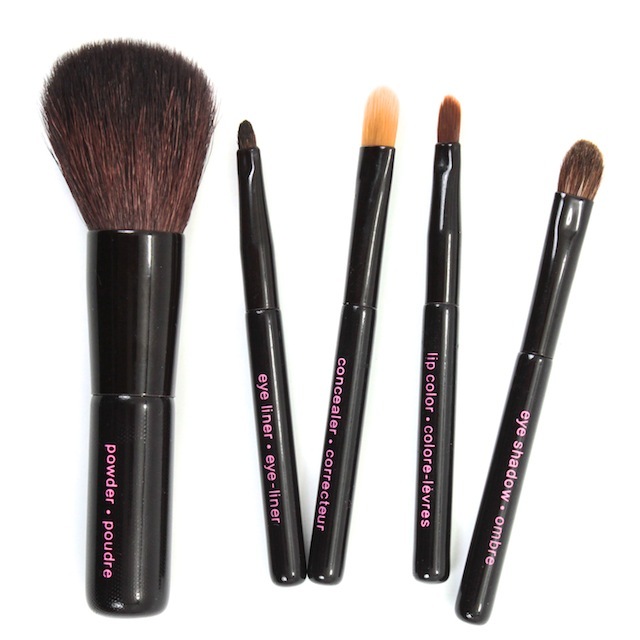 This set, while not an exact dupe in quality, is very similar to something you could buy for thrice the price from Bobbi Brown (she is the queen of mini brush sets). I was pretty impressed with the overall quality of the brushes. The handles and ferrels seem solidly built. The size of the brushes does take some getting used to -- although, for those of you (us) who are nearsighted, you can get right up close & personal to the mirror without any awkwardness. The hairs are fairly soft and there was hardly any shedding (at least with four out of five brushes). The powder brush was a whole other story. It shed so much, at least one hair each time I used it. After a month of consistent use and severals washes, it finally stopped shedding (for now, that is). Other than that, this set has made for a great travel companion. 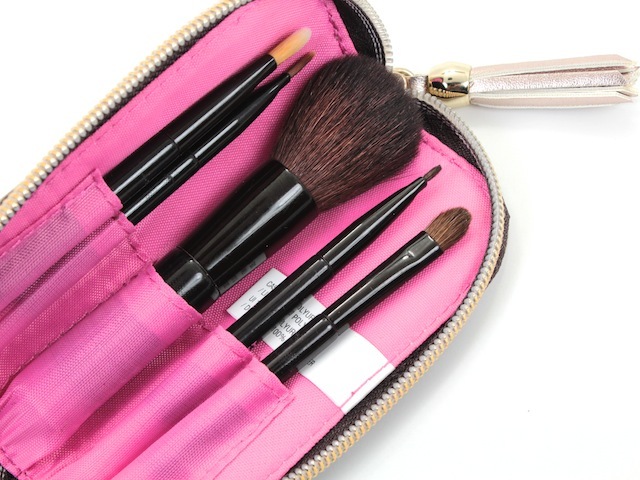 I even like to keep it in my makeup bag when I'm on the go, although I've mainly reached for the powder brush and the concealer brush for touch ups. 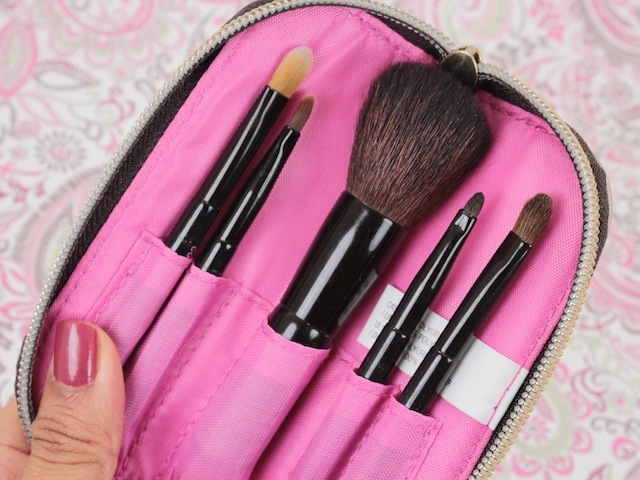 Do you have special mini travel brushes? I also love the EcoTools travel set, too. Love your blog it's super cute? Did you make your blog design yourself? I'm trying to improve my blog...need tips..!